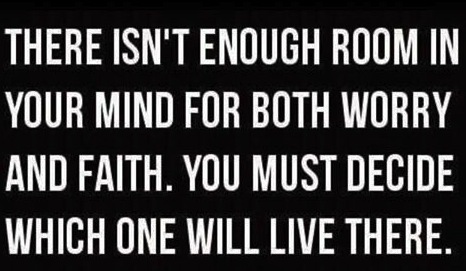 While I usually let worry set up shop, today I am going to try to make some room for faith. More often than not, things resolve themselves in time, so today I am going to approach the day with that philosophy. Perhaps if you are having a Frazzled Friday too, this will inspire you to do the same. Of course, in all reality, I am not sure that I can ever not worry, but a girl can try. And this is a little reminder to do just that. Have a fabulous weekend. Here's to less worrying and more wonderful.